The term “Enhanced Recovery Pathway” (ERP) refers to a multimodal approach to patient care, based on interdisciplinary work that contributes not only to the standardization of care but also to increase quality, while containing cost. ERPs are implemented through specialty-specific order sets that cover the whole episode of care, from preoperative management to post-discharge healthcare coordination and follow-ups. 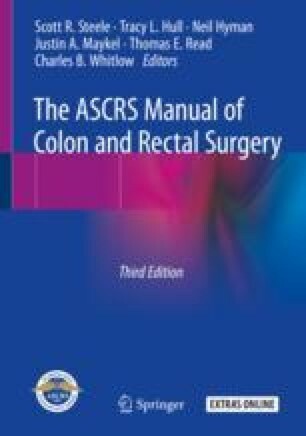 Furthermore, the combination of ERPs and minimally invasive colorectal surgery has demonstrated a reduction in morbidity and mortality and overall length of hospital stay and is associated with a low readmission rate. Overall, the decrease in complications associated with the implementation of an ERP and minimally invasive colorectal surgery achieves the goals of improving quality of patients’ care and reducing healthcare-related cost when compared to patients managed outside a specific pathway.